Aluminium goals manufactured from 100mm x 110mm elliptical reinforced aluminium, powder coated white. 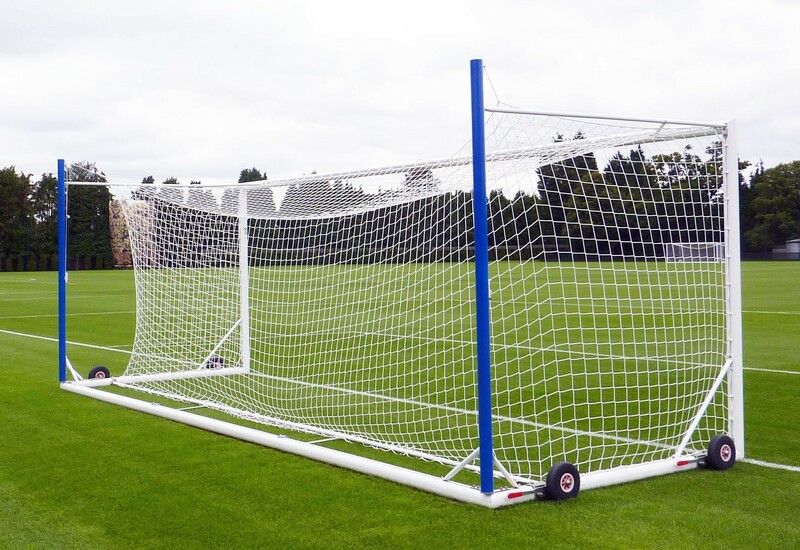 These goals come complete with back supports and 4mm white knotted box profile nets. They move easily on grass or synthetic surfaces via 260mm diam micro cellular polyethylene non puncture wheels operated via a cantilever handle (4 per goal). Goals come with lock on nylon net hooks and U-peg grass anchors. Senior size only: 7.32m x 2.44m (24’ x 8’).